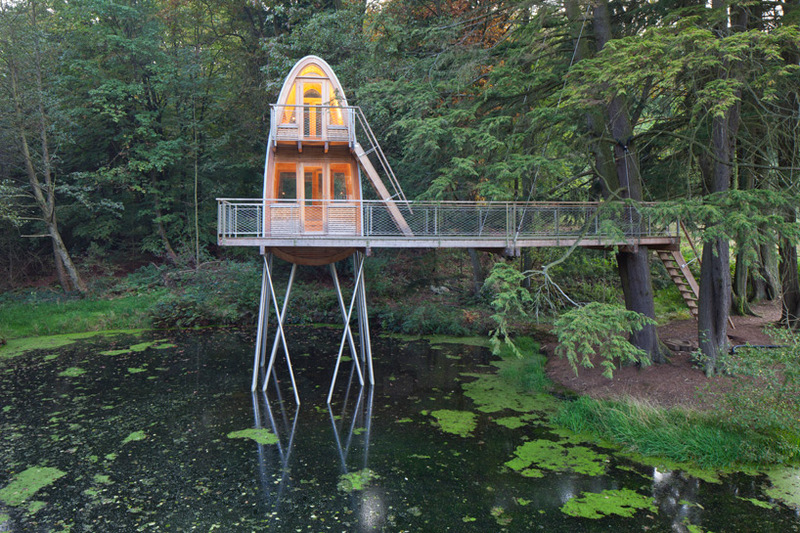 following the restoration of an old forester’s home outside the town of uslar, germany, baumraum have elevated the ‘treehouse solling’ above a pond to serve as sleeping quarters as well as a vantage point for observing the wooded environment. 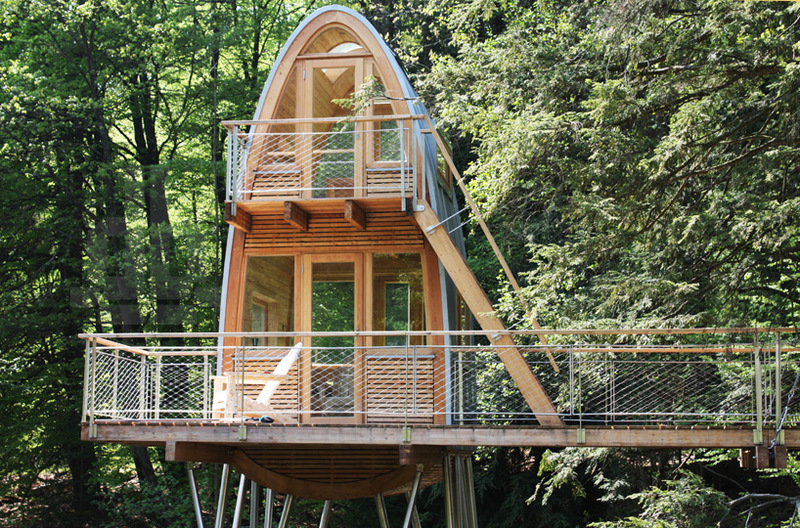 from land, a stair passes through a grove of hemlock spruce, accessing a deck situated 4.2 meters above the water surface. 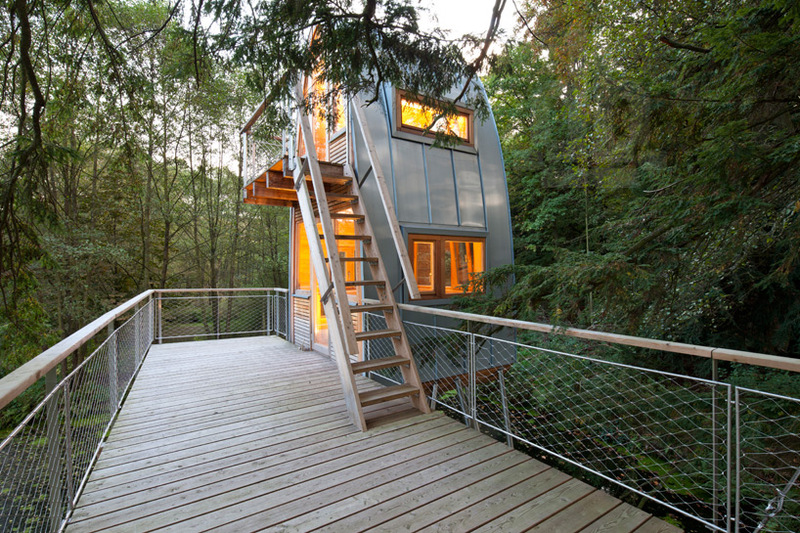 the two-storey dwelling is supported by 12 inclined steel posts, while the bridge is hung from cables tied back to the large trees. 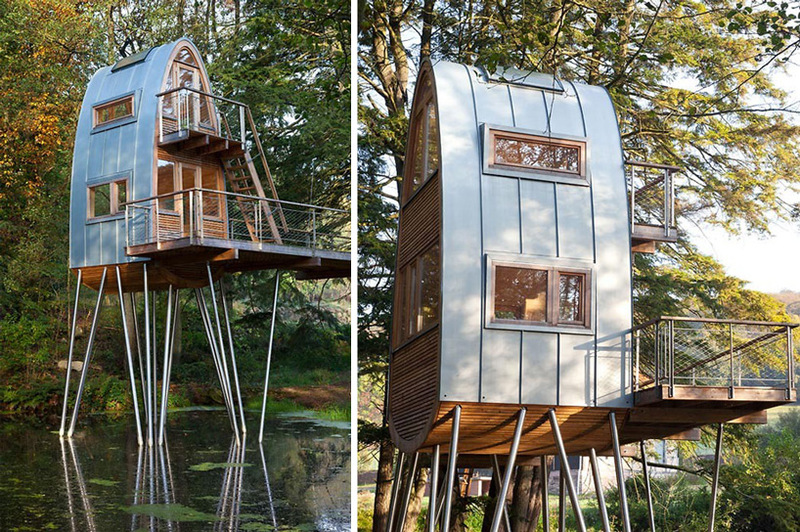 the property is accessed by a private road running along a small stream. to complement the home’s restoration, the surrounding landscape was carefully designed to amplify the idyllic setting, including the addition of two ponds. 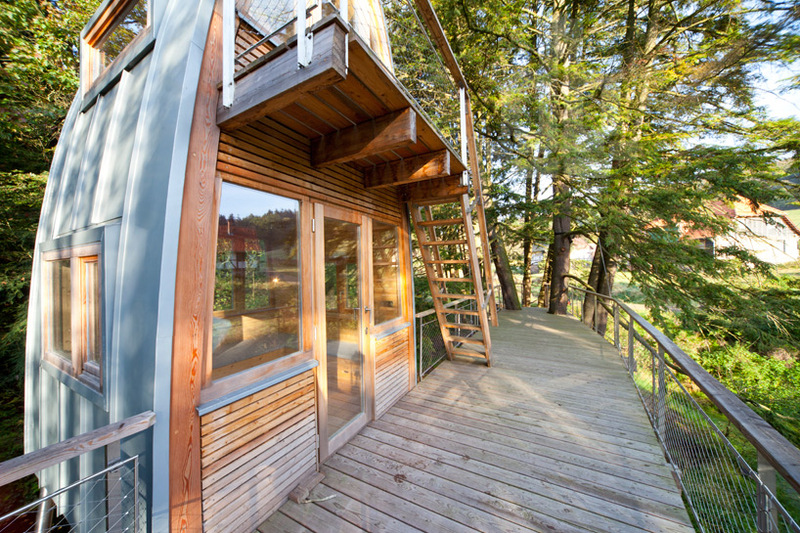 the treehouse provides a space for framing and appreciating the natural and tranquil setting, especially for the young son and friends. 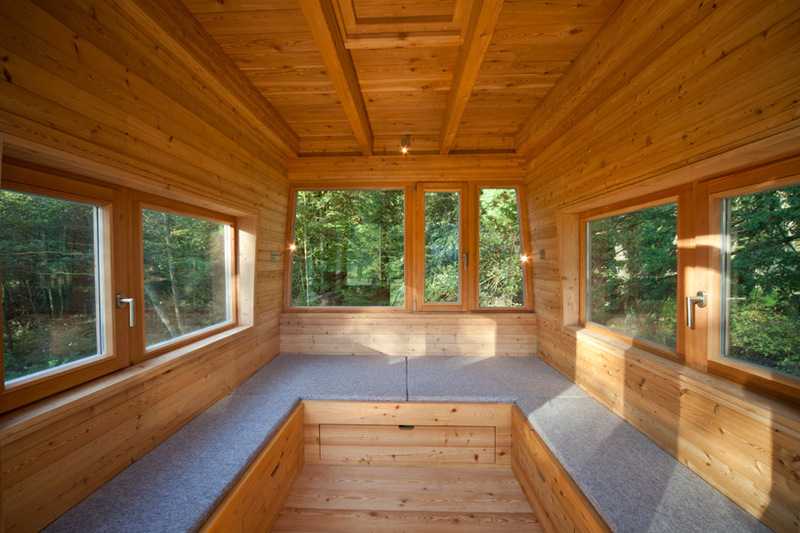 the interior of the rounded dwelling contains sleeping benches, storage areas, and many windows for viewing the forested context. 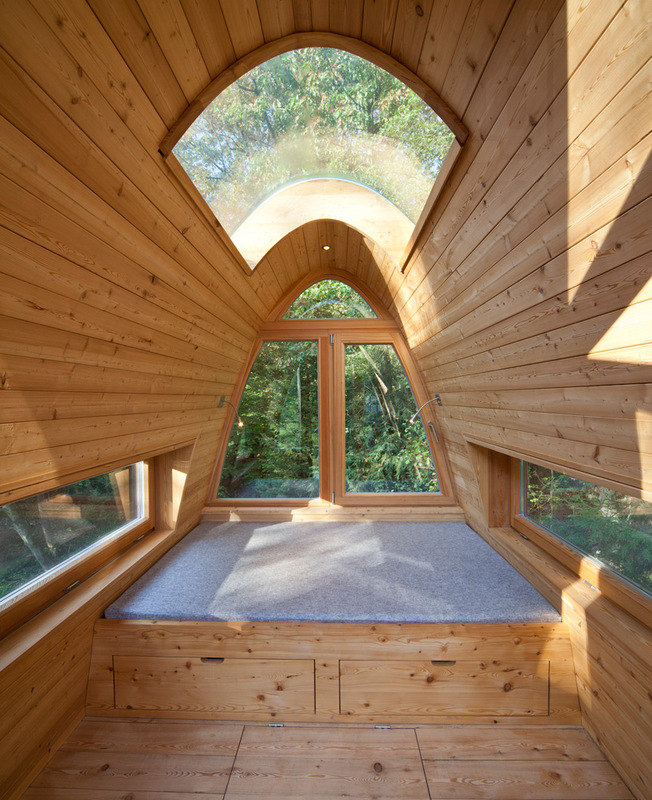 a skylight allows for stargazing at night from the upper level.